This cheeky little comedy about an aging queen’s obsession with literature, coming as it does from the pen of Alan Bennett, rather proves the adage that it takes one to know one. Of course, this is not Bennett’s first foray into the imagined life of the Queen. His one-act play of 1988, A Question of Attribution, adapted for television in 1992 with Prunella Scales playing the Queen, deals with her relationship with her Surveyor of Pictures and former Soviet spy, Sir Anthony Blunt, in which Her Majesty is portrayed as being both formidably well-informed and a very shrewd judge of character. 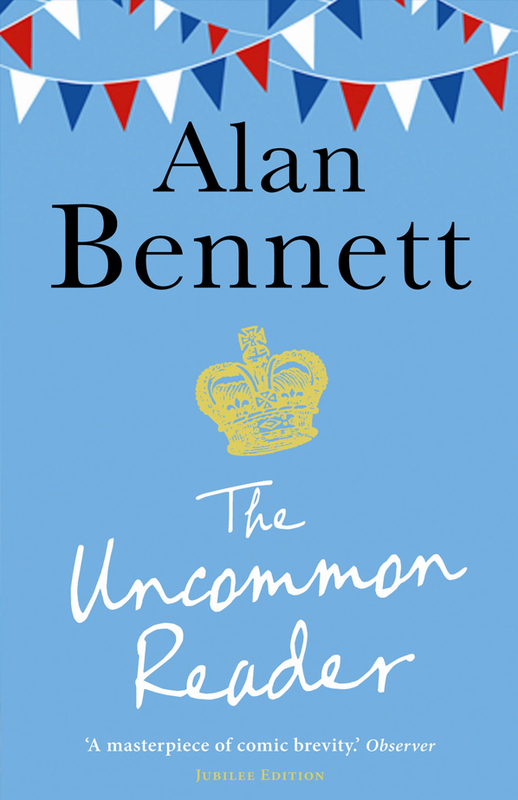 The premise of The Uncommon Reader, first published in hardback in 2007 and now re-released in paperback as a special ‘Jubilee Edition’, is that the Queen develops a passion for literature following a chance encounter whilst walking the corgis in the Palace precincts. “It was the City of Westminster travelling library, a large removal-like van parked next to the bins outside one of the kitchen doors.” Exploring inside she meets young gay kitchen hand, Norman Seakins, with whom she embarks on a belated exploration of the literary canon, much to the chagrin of senior Palace officials and government ministers, who fear she is neglecting her public duties. Bennett imagines the Palace as peopled by a cast of eccentrics and grotesques, from the prissy private secretary, Sir Kevin Scatchard, to the niffy nonagenarian, Sir Claude Pollington. It is also rife with politicking and camp bitchery, as Sir Claude tartly remarks “I’ve served three queens … and I got on with them all. The only queen I could never get on with was Field Marshal Montgomery”. As the Queen’s devotion to reading becomes increasingly problematic for her courtiers, Sir Claude suggests that she might write instead, as Queen Victoria had done, prolifically, in her journals. Revisiting a novel of Ivy Compton-Burnett “…it occurred to her (as next day she wrote down) that reading was, among other things, a muscle and one that she had seemingly developed.” But it soon becomes apparent that Her Majesty is not content to write an anodyne account like her great, great grandmother’s, but decides, as she vouchsafes to a horrified Prime Minister, something that will “’transcend its circumstances and stand on its own, a tangential history of its times and, you’ll perhaps be reassured to learn, far from exclusively to do with politics or the events of one’s life’”. Far from reassured, the Prime Minister warns “The monarch has, I think I’m right in saying, never published a book”. He is not right, as the Queen points out, citing Henry VIII and Elizabeth I, but it is her solution to the PM’s concerns that form the really rather shocking conclusion to this delightfully wicked little book. Alan Bennett has almost certainly never cherished a knighthood but it is fairly safe to assume, on the basis of his naughty exercise in lèse–majesté, that he has irrevocably blown any chances of that now.